Ruth and Michael Paine responded exactly the same way when news broke that shots were believed to have originated from the Texas School Book Depository: they both immediately assumed that Oswald was involved. 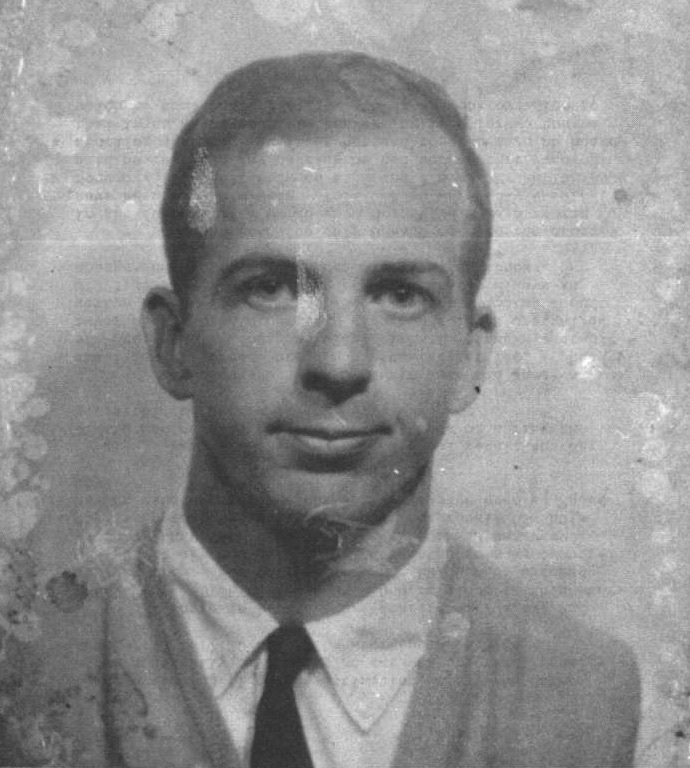 During a phone call placed at one pm November 22, 1963, Michael Paine calling from his office at Bell Helicopter to Ruth at home in Irving, this assumption receives a qualification: “the male voice was heard to comment that he felt sure LEE HARVEY OSWALD had killed the President, but did not feel OSWALD was responsible, and further stated, “We both know who is responsible.”1 Whoever it is Michael Paine believed “responsible” for the assassination it has remained closely held, as neither he or Ruth Paine have faced official scrutiny since 1968. Michael Paine intersects with the backyard photo story at least six ways, surprising since the official story portrays him as akin to a bystander, simply caught up in events. Michael Paine was one of a handful of known visitors to 214 West Neely Street. The Imperial Reflex camera said to have taken the backyard photos was apparently stored at his house in the autumn of 1963. He saw a backyard photo at the Dallas Police station the night of the assassination. The backyard photos known as 133-A and 133-B were discovered at his house the following day. He was involved in the delivery of a box of records, from which the de Mohrenschildt backyard photo would be later discovered. Michael Paine, with his wife Ruth, had dinner with the de Mohrenschildts soon after the photo was discovered in 1967. Years later, around the time of Oliver Stone’s JFK, Paine began claiming that Oswald actually showed him a backyard photo when he first visited the West Neely Street apartment in April 1963. Mr LIEBELER: Did you ever make the acquaintance of Lee Harvey Oswald? Mr LIEBELER: Would you tell us briefly the circumstances under which that occurred? Mr PAINE: My wife invited Lee and his wife over to supper one evening. Michael Paine’s account of the conversation held during the half-hour delay at the Neely Street apartment fills ten transcript pages in the Commission Hearings (WCH II pp 393-402). As he concludes this detailed account, largely concerned with Oswald’s experiences in Russia, he tells the Commission: “What you have heard now occurred mostly in the first half hour when I was speaking directly to him when I met him ... in all the subsequent conversations, you are going to get less information in what he said.” (WCH II, p. 398) Paine would maintain he and Oswald had a total of four conversations in the spring and autumn of 1963. Michael Paine drove Lee, Marina and daughter June back to Neely Street to conclude the evening. He claimed he did not see Lee Oswald again until October. Paine would provide material support for Ruth Paine’s efforts in housing Marina Oswald, and transporting her to and from New Orleans, ostensibly as a means to brush up her Russian language skills. The Imperial Reflex camera which took the backyard photos was probably transported to New Orleans in May, in Ruth Paine’s station wagon, included with the Oswald belongings or on her own initiative. The eleven New Orleans photos feature four groups of similar views. 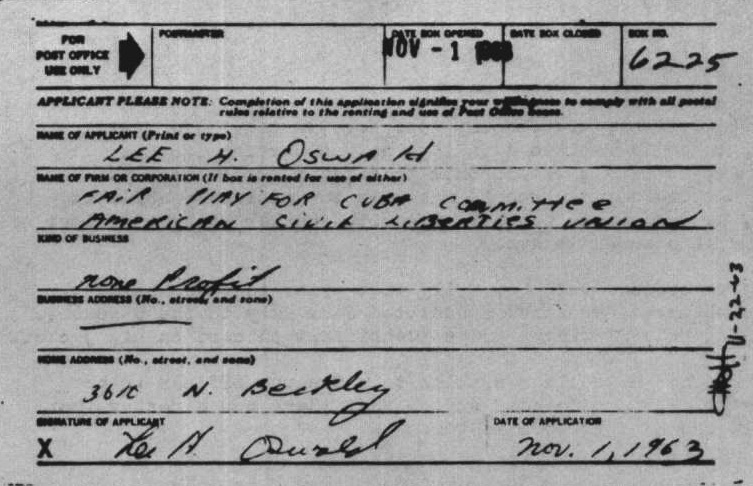 On Sunday night October 13, although Ruth Paine’s timeline says “OSWALD was at the PAINE home all during this day and night,” (CE 2124) Oswald, or someone identical to him, was seen sitting at the back of the room at a meeting sponsored by the Student Directorate of Cuba (DRE) (CD 205, p. 646). “This individual spoke to no one but merely listened and then left.” General Walker was also in attendance at this meeting. 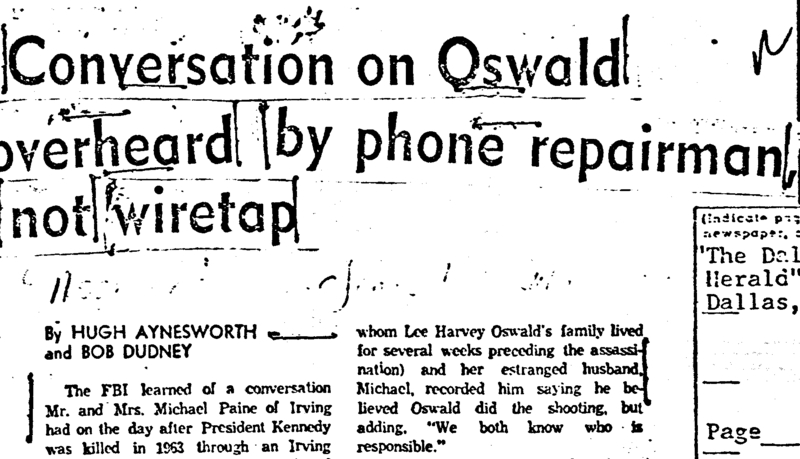 How Oswald knew of, or traveled to this meeting and then back to Irving, is not known. Ruth Paine took Oswald into Dallas the following morning, and Oswald moved from Bledsoe’s to a rooming house at 1026 North Beckley. Two days later, Oswald began work at the Texas School Book Depository. Two days after that, Lee Oswald turned 24 years old. On Sunday night, October 20, Marina went into labour and daughter Rachel was born. This began a busy week for Oswald. 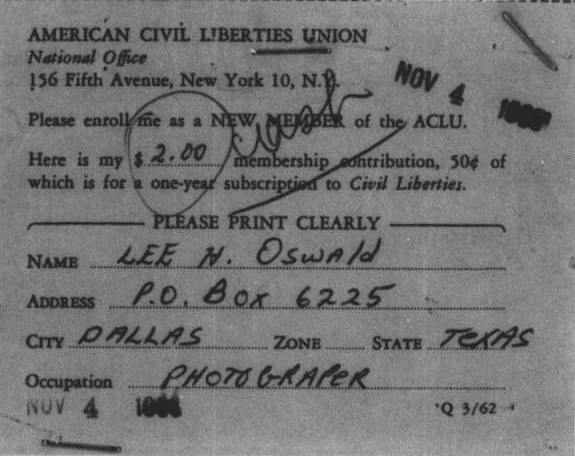 On the same day, previous to mailing this letter, Oswald rented a new Dallas post office box and listed both the Fair Play For Cuba Committee and the American Civil Liberties Union on the postal form (Holmes Exhibit 1).13 Oswald mails a membership application to the ACLU that same day. He includes two dollars in cash for the membership fee and lists his occupation as “photographer”. He adds a handwritten letter which requests notification on how to contact “ACLU Groups in my area,” even as he already knows they hold monthly meetings at SMU. 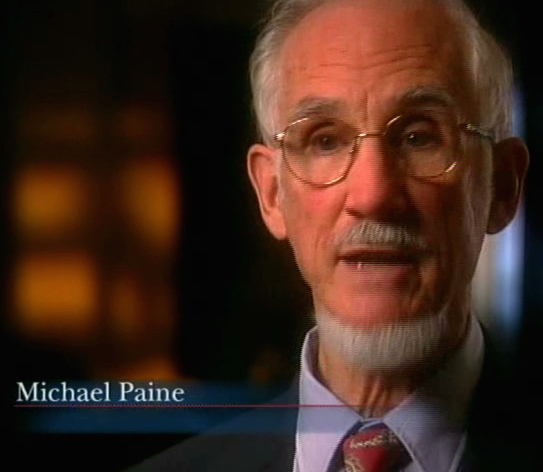 (CE 783) Michael Paine had been an ACLU member for some years, and Ruth Paine was the local treasurer. Paine’s excellent retention skills are particularly admirable given the “fine clapboard structure” of the Neely Street house, as seen in the backyard photos, is visible but hardly dominates the frame the way the staircase and its support beams do. The clapboard can be seen behind and below the staircase on the left side of the frame. If the photo viewed by Michael Paine on Friday night was 133-C, it is the individual backyard photo showing the least detail of the clapboard structure. 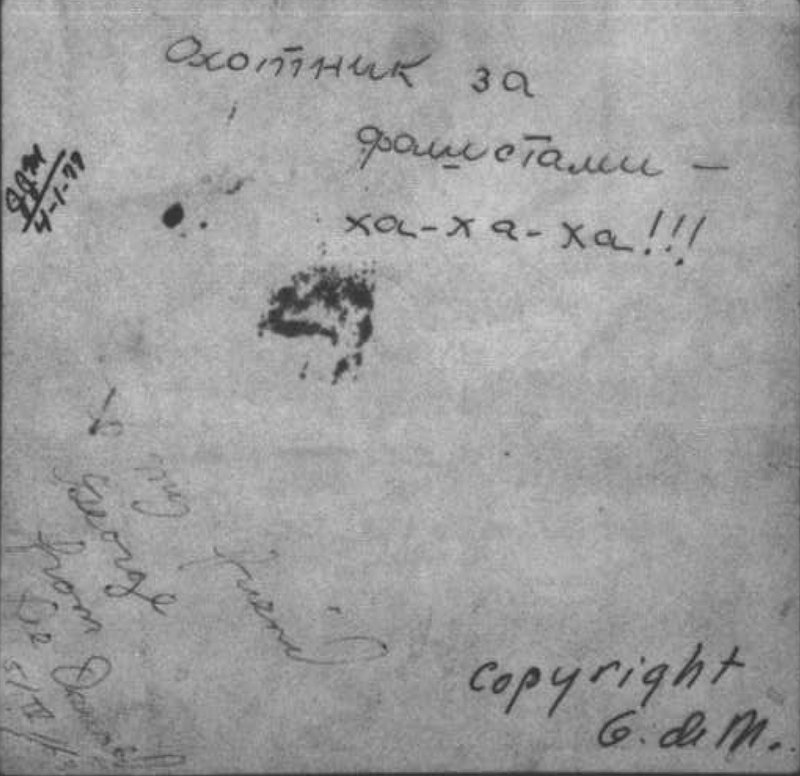 If 133-C was possessed by the Dallas police in the format of a “drugstore print”, then still less detail would be visible as the photo would be cropped on its horizontal edges, as well as appearing in its small 3”x3” size. Folk dancers and madrigal singers: a hotbed of intrigue? Mr. GLOVER. I got a call on the telephone, I am not sure whether it was Mr. or Mrs. Paine, in which they said the record player – I believe it was the same one I had given or taken over to (Marina) that belonged to the De Mohrenschildts, was there at their house ... I think at this time I learned through them that Marina had gone to join (Lee) in New Orleans. Mr. JENNER. Was anything said about Mrs. Paine having taken Marina to New Orleans? Mr. GLOVER ... the only other connection I had with them was that later than that ... I got a call from one of the Paines saying they had records that the De Mohrenschildts had given Marina. These were for Russian speaking people learning English, I believe, that they had, and what to do with them? And I said, bring them over here and I will store them ... and I remember Michael Paine brought the records over to me and came in the house, and I talked with him a little bit. At this time Michael Paine told me the last information I had about (the Oswalds). He told me that, I am not sure whether he said they were back, Marina was coming back, or Marina had already come back to Dallas, that Lee had lost his job and that Lee was coming back, and that was in the time I believe. Mr. JENNER. Was coming back to live or was visiting? Mr. GLOVER. Well, was coming back. Presumably he lost his job and was coming back here. The backyard photo known as deMohrenschildt-A, a first generation print which shows information from the original negative cropped from the “drugstore print” 133-A, and which features handwritten inscriptions on its backside, was discovered within the sleeve of one of these language LPs when the deMohrenschildt’s returned to Dallas in 1967. Accepting Glover’s Warren Commission testimony, this photo was presumably inside the LP sleeve when the language albums were returned at about the beginning of October 1963. Presumably, these LPs had travelled with Marina Oswald to New Orleans and then back to Irving, even as they could not be played since the record player had possibly been returned months earlier, as established during Glover’s questioning by Commission counsel Albert Jenner (although when exactly Michael Paine dropped off the record player is not explicitly stated). 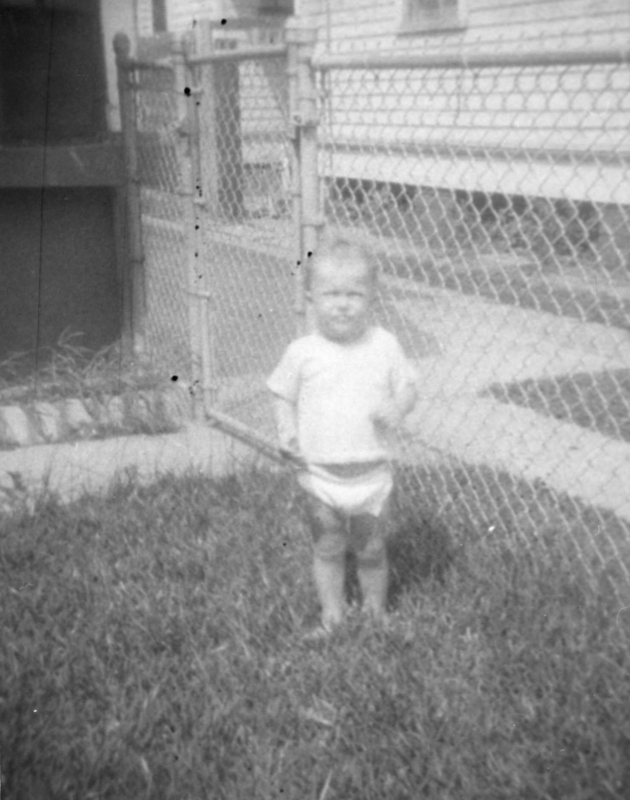 Conceivably, the backyard photo known as deMohrenschildt-A could have been inserted into the LP sleeve by Oswald at any time between April and September. Or, inserted by the Paines, or someone associated with the Paines, just before the records were returned to Everett Glover. Or, since Everett Glover is uncertain of the circumstances, perhaps the record player was not returned in May but actually at about the beginning of October, and Glover was confused between the record player and the LPs. There is no indication any investigatory agency went to have a look at these LPs after Glover’s testimony, even as important evidence had been uncovered inside other items associated with the Oswalds. Mr. De MOHRENSCHILDT. We gave (Marina) some records to study English – not mine, but my wife's and her daughter's records, of Shakespearian English, how to learn English, and they obviously still have those records. Mr. JENNER. Yes, they were found in Mrs. Paine's home. Mr. De MOHRENSCHILDT. We even gave them a phonograph, I think, a cheap phonograph, to play the records. Stovall Exhibit A lists the property “taken from” the Paine house in Irving on November 22. The list includes “3 Brown metal boxes 12” x 4” containing phonograph records”. If the language LPs lent to Marina Oswald were among these “phonograph records,” then they would have been taken to Dallas Police HQ, and apparently later that night sent to the FBI lab in Washington. 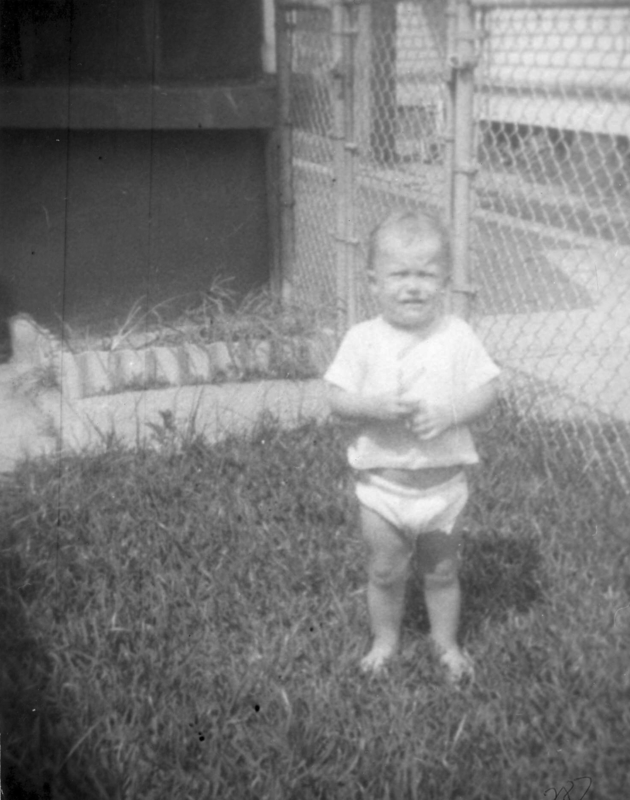 If Oswald had stashed the de Mohrenschildt backyard photo inside a record album later seized at the Paines, it would in all probability been discovered by the Dallas police or by the FBI. If these LPs were found at the Paine home after the assassination rather than delivered to Glover weeks earlier, then the backyard photo must have been inserted into the sleeve after being returned from the custody of the FBI sometime in 1964. Glover, who had assumed much of the de Mohrenschildt’s furniture on their departure for Haiti in April 1963, moved many of these items into a storage locker early in 1964, and it is in this locker the language LPs with the backyard photograph were found. Glover left Dallas before the de Mohrenschildt’s return, and there have been indications that Ruth Paine had access to the storage locker in the meantime. When the de Mohrenschildt’s discovered the backyard photo, they called the Paines, despite having only been introduced to Ruth once, years before. 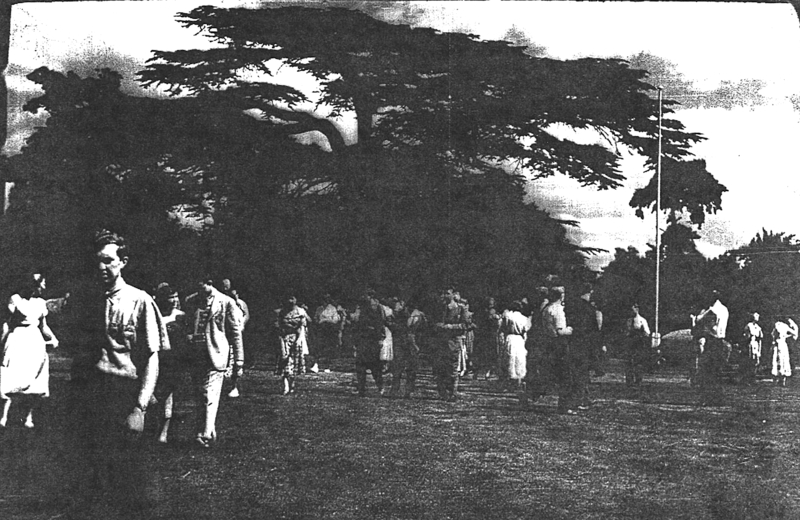 During an ensuing meeting between both couples, over dinner, the newly found backyard photo was a topic of conversation as well as discussion “generally, of events.”16 In his manuscript “I Am a Patsy”, George de Mohrenschildt described Ruth Paine as “a perfectly charming, charitable Quaker ... (who) helped the Oswalds out of pure humanitarian impulses ... She and her husband were simply admirable people.” (HSCA Volume XII, p. 260) Paragraphs earlier, de Mohrenschildt disparages Marina Oswald’s deportment following the assassination. He was under the incorrect impression that it was Marina who wrote “Hunter of fascists ha-ha-ha” on the back of the discovered photo. 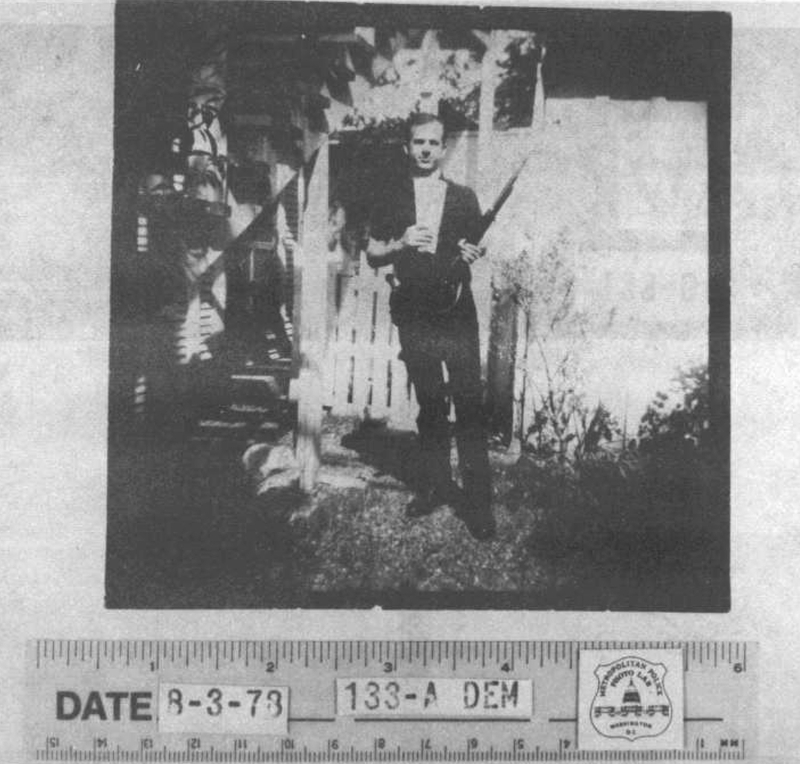 In 1993, Michael Paine began telling interviewers that Oswald had showed him a backyard photo when they first met in the Spring of 1963. If Michael Paine’s relatively recent claim is actually true, then his Warren Commission testimony is severely compromised, a fact which appears to have escaped many mainstream journalists and network research departments. 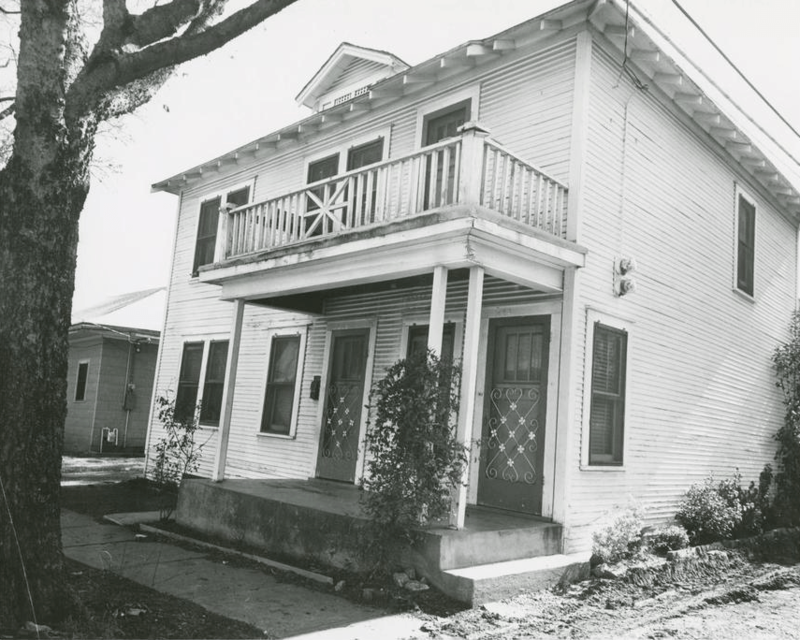 If Oswald showed Michael Paine a backyard photo in the Spring of 1963 it must have been, according to Paine’s timeline, during the visit to the Neely Street address when Paine arrived to drive the Oswald’s to dinner in Irving. This event, if true, is entirely absent from Paine’s long and detailed description of his half hour with Oswald as told to the Warren Commission. If true, and Oswald was offering Michael Paine visual evidence of an apparent tendency to violent fanaticism, it is not at all clear why this troubling information was not passed to Ruth Paine as she continued to forge her friendship with Marina. Ruth Paine claimed to the Warren Commission that she did not know Lee owned a rifle and would not have accepted the presence of a rifle in the same home as her children. 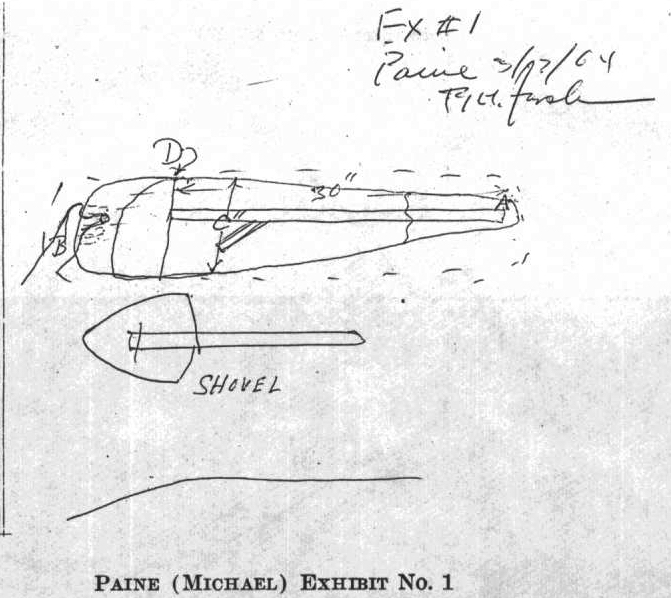 Instead of a rifle, Michael Paine visualized tent poles and folding shovels. Neither Liebeler or Redlich asked Paine why, if he was not curious, did he expend so much intellectual energy visualizing tent poles and folding shovels in an effort to understand what might be inside this blanket. He was not asked if he was aware the Oswalds had ever been camping. He was not asked why he did not simply inquire of Oswald what was up with the blanket, which had been in Paine’s way as he worked in the garage (Oswald presumably could be found in front of the television set). Although neither Liebeler or Redlich could know this, if Michael Paine had indeed previously been shown a backyard photo, then all of his supposed puzzling over what was in the blanket is utter nonsense. It is possible that Michael Paine is simply completely mistaken, and since 1993 has been relating what amounts to a false memory. 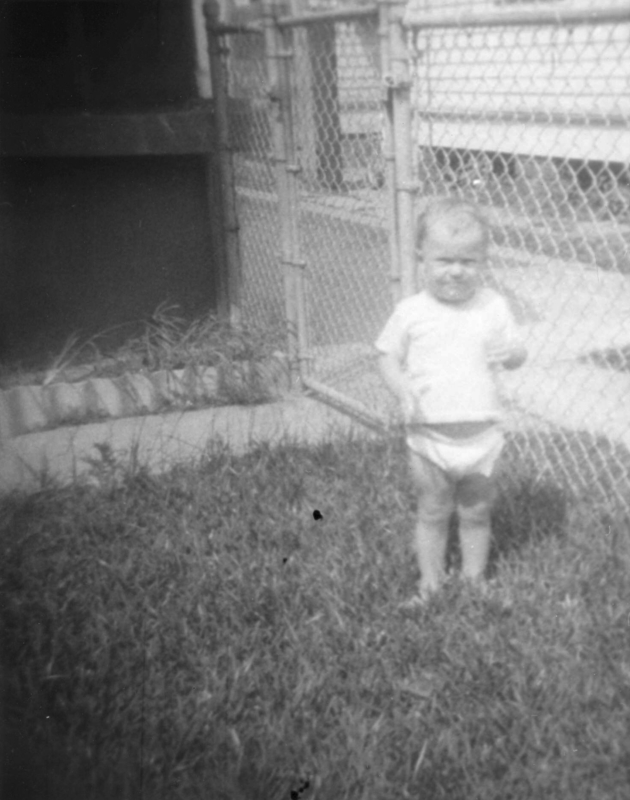 It is also possible that the story of being shown a backyard photo by Oswald in the spring of 1963, was deliberately concocted by Michael Paine to assist in buttressing the official portrayal of Oswald as a lone nut assassin – a portrayal which had at that time faced renewed public skepticism with the release of Oliver Stone’s JFK. The inclusion and positioning of Paine’s backyard photo claim, in books and network documentaries supportive of the Warren Commission’s findings, favors the latter view. If this is the case, then Michael Paine can be regarded as less the simple madrigal-singing Quaker unwittingly caught up in historic events, and more a conscious collaborator assisting the project of framing Oswald, at least in the public mind, as the lone nut assassin. At the very least, the eagerness by which mainstream publications and broadcasts have presented Michael Paine’s revisionist account, despite the obvious damage this claim does to his Warren Commission testimony and other tenets of the official story, is a demonstration of just how shoddy and agenda-driven these histories really are. 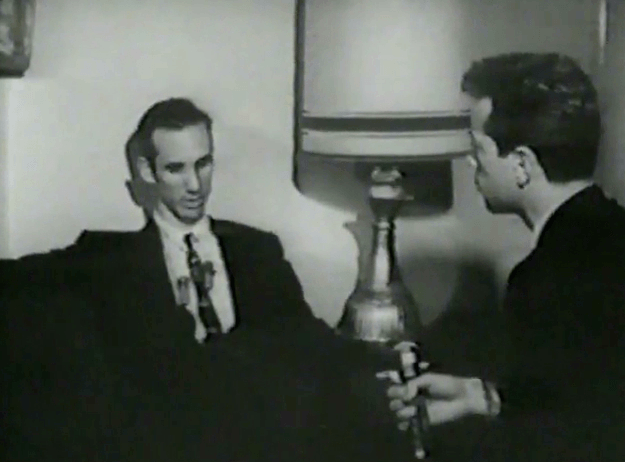 Michael and Ruth Paine were interviewed at their home by Dallas television station WFAA on Sunday November 24, 1963. They both shared their impression that Oswald was the lone assassin of President Kennedy, motivated, Ruth Paine suggested, by a realization “that he had an opportunity to no longer be a little guy, but to be someone extraordinary.” Michael Paine would echo: “I think it was a lone wolf thing, the opportunity presented itself to him and he probably wanted to make a mark on society by – suddenly it occurred to him that he could.” The Warren Commission would later presume Oswald’s motivation using similar language. Fifty some years later, the informed benign version of what occurred in 1963 would concede the Paines’ involvement with the Oswalds had purposes other than officially stated, but which did not necessarily directly relate to an assassination plot directed against JFK, although the Paines did assist in the post-assassination framing of Oswald, in deference to the authorities and by intuiting what was really happening.17 This view is supported by the intercepted phone call from the afternoon of November 22, 1963, where Michael Paine speculates that Oswald may have been involved but was not “responsible.” If the Paines had been directly involved in an assassination plot, this phone call would not have happened. MR LIEBELER. Now, there has been a report that on November 23, 1963, there was a telephone call between a man and a woman, between the numbers of your residence and the number of your office, in which the man was reported to have said in words or substance, “We both know who is responsible for the assassination.” Have you been asked about this before? MR PAINE. I had heard that – I didn’t know it was associated with our numbers. I had heard a report that some telephone operator had listened in on a conversation somewhere, I don’t know where it was. I thought it was some other part of the country. MR LIEBELER. Did you talk to your wife on the telephone at any time during Saturday, November 23, on the telephone? MR PAINE. I was in the police station again, and I think I called her from there. MR LIEBELER. Did you make any remark to the effect that you knew who was responsible? MR PAINE. And I don’t know who the assassin is or was; no, so I did not. MR LIEBELER. You are positive in your recollection that you made no such remark? Liebeler makes reference to a “report”, within which the date of the phone call is established as November 23, 1963. Liebeler should have known that subsequent information, including phone records, corrected the report to which he refers, and established the actual date of the phone call as November 22. Inside a lengthy collection of FBI reports dated February 11,1964, a sub-section is titled ‘Investigation Regarding Alleged Telephone Call Between CR 5-5211, Arlington, Texas and BL 3-1628, Irving, Texas on November 23, 1963” (the telephone numbers identified are Michael Paine’s Bell helicopter office in Arlington, and the Paine household in Irving). Part of this investigation is a January 25, 1964 report by FBI Special Agent Robert Lish listing long distance phone calls charged to the Paine’s number in Irving, from late October to mid-December 1963. These records, made available from the Southwestern States Telephone Company, establish the phone call in question was made on November 22. (FBI 105-82555 Oswald HQ File, Section 83, p. 127) Both Michael and Ruth Paine told the Warren Commission, several times, that a phone call between themselves, from the same locations, occurred on November 22, 1963 at about one pm. Liebeler’s questions to Michael Paine have the dismissive effect of labelling a supposed November 23 phone call, discussing “who is responsible,” as something like an unestablished rumor. The Gemberling report specifying Confidential Informant Dallas T-4 was classified and not shared with the Warren Commission. It was declassified in 1976, and Bernard Fensterwald of the Committee to Investigate Assassinations determined that “confidential informant T-4 is almost undoubtedly a wiretap recording. The nomenclature is widely used by the FBI to indicate to their own agents the wiretap source of a piece of information without having to reveal the source to outsiders.”19 Fensterwald’s allegations were repeated by Congressmen Thomas Downing and Henry Gonzalez, who publicized the Paine’s “we know who is responsible” conversation on the House floor. In a 1976 Dallas Times Herald article written to refute the allegations of a wiretap on the Paine’s residential line, Hugh Aynesworth interviewed Paul Barger, then working for the Irving Independent School District. Barger claimed the source of his original report was known to him after all, and was a telephone repairman who by chance, “due to some mechanical difficulties ... he was checking out the line” and inadvertently listened in on the conversation. Barger, supposedly, did not identify the man back in 1963 over concerns of reprimand. Barger added he “did not believe the FBI had any wiretap on the Paine house, ‘If they did,’ he said, ’they wouldn’t have been asking me for what happened.’” (FBI 62-109060 JFK HQ File, Section A28, p. 71-72). The phone call itself, and its content, are not denied. Paul Barger’s 1976 story of a telephone repairman, as well as his initial stories of being so busy on the assassination weekend that he could not recall either the source of the information or when it arrived to him, do not seem credible in the absence of cross-examination. The January 7 Gemberling identification of Confidential Informant Dallas T-4 is probably not referring to Barger, since Barger had been identified by name in an FBI report from weeks earlier, and there was no confidential necessity to that interview. Barger’s handwritten note presented on January 17 is unconvincing, and was not pursued. 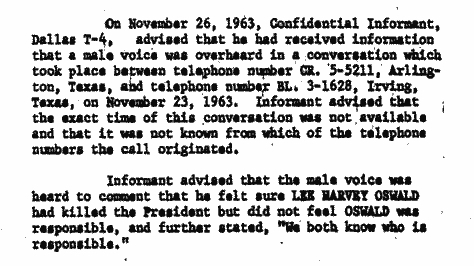 The Warren Commission was apparently unaware that telephone records established the phone conversation in question occurred on November 22 instead of the following day. These unsatisfactory efforts suggest that the Paine telephone conversation was indeed captured through a wiretap on the Paine’s residential phone, that Paul Barger assisted in covering up the source of the information by fudging his recollection and attributing an incorrect date to the phone call in question, and that Gemberling revealed the true source (Dallas T-4) for internal FBI use. Michael Paine has yet to be asked directly who he thought, at one pm on November 22, 1963, “was responsible” for the assassination. 1 FBI 105-82555 Oswald HQ File, Section 83, p. 75. John Armstrong discusses this phone call in Harvey and Lee, pp. 832-835. 2 Oswald’s J-C-S timesheet shows him, on April 2, finishing his work day at 5PM (CE 1856). During his second session with Warren Commission, March 18, 1964, Paine would place the supper date as April 10, which would have provided Oswald an alibi against his alleged involvement with the Walker shooting. (WCH II, p. 393) But Paine is a bit vague, and he defers to Ruth Paine’s calendar which, for events beginning March 1963, becomes for the Warren Commission a sort of master-clock determining who went where when. Ruth Paine’s calendar says dinner on April 2 was at 7 PM. 3 This pickup had been pre-arranged, so Marina Oswald’s lack of preparation sticks out, as does the total of about 30 minutes to gather and pack for an outing of just a few hours. Perhaps every contingency had to be accounted for, but Ruth Paine also had young children and would have had similar items waiting at her home. Marina’s story of the origin of the backyard photos also has her “really busy” with child-related chores. Seeing as the official narrative features numerous events which seem to be combinations or merging of separate stories and incidents, it is not far-fetched to ask if Michael Paine took the backyard photos during this half hour. This scenario would require the dinner get-together occur on a Sunday in March or after April 6, Oswald’s last day at J-C-S, when Paine could arrive closer to four pm than six (as the shadows in the backyard photos indicate they were exposed mid-to-late afternoon. 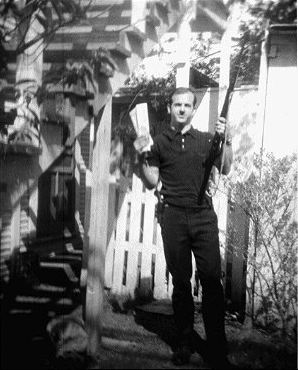 4 At the time of this dinner, the Warren Commission held that Oswald had already spent several weeks surveilling Walker’s home as part of a meticulously planned assassination attempt, had ordered and received a rifle by which to carry out this plan, had been spending time practicing with the rifle, and had posed for the backyard photos. 5 Marina Oswald would later tell the Commission that Lee had told her he and Paine had attended a meeting at which Walker was present. This information resulted in a further deposition for Michael Paine on July 23, 1964 (WCH XI). Paine could not explain Marina’s remark, but allowed that he had once attended an event where Walker spoke – a National Indignation Committee meeting December 13, 1961. 6 If Ruth Paine took these pictures, she may not have had them developed when she returned to Irving. One roll of exposed 620 film is listed as having been found in a metal index card box found November 23, 1963, or so it appears on the typed list created November 26, 1963 by the FBI after these items had already been sent to the FBI lab in Washington and then returned to Dallas (CE 2003; WCH Vol. XXIV, p. 337). There are two typed lists from this date, on the other the description is “one roll 620 plus x film exposed (? )” (FBI JFK HQ files, Section 150, p. 125) In the original list of items taken from the Paine house (Stovall Exhibit A), rolls of film are listed but not always identified and not associated with the two file boxes on the list. These items were seized on November 22 not on the 23rd. The New Orleans photo set was not included with the initial batches of photos shown Marina Oswald. 7 Oswald was said to enjoy football, and chances are that’s what he spent the day watching. The hometown Dallas Cowboys, then in their fourth NFL season, played in San Francisco against the lowly 49ers that afternoon. As a west coast start, the game would have started about 3-3:30 PM Dallas time, and lasted on toward the dinner hour, which would have contributed to the perception Oswald was in front of the television the “entire day.” Although ahead 21-7 in the second quarter, the Cowboys would be outscored 21-3 in the second half and lose the game. It was a memorable afternoon in Cowboy’s history, as quarterback Don Meredith would throw for 460 yards, a franchise record at the time. 8 Oswald, supposedly, had been preparing to search for work in Houston and maybe Philadelphia, and therefore his return to the Dallas area could not be expected or anticipated. Everett Glover, however, would tell the Warren Commission that Michael Paine indicated to him Oswald would return to Dallas sometime early in October. 11 Oswald supposedly knew nothing of the ACLU, but did know the FPCC, SWP, CPUSA, Hall-Davis Defense Committee, et al, and was “familiarizing” himself with right-wing outfits “for whatever his purposes.” This is an example of how disjointed Michael Paine’s testimony can be. It is curious that a 30 minute conversation from April 1963 can produce pages of testimony, but this 35 minute drive to the ACLU meeting followed by a second 35 minute drive back to Irving produces just two recollections, including the spurious notion that Oswald needed to have the ACLU explained to him, which, according to Paine, happened on both ends of the journey. 13 The home address listed on this form – “3610 N. Beckley” – was non-existent. Previously, when filling out such forms, Oswald used actual addresses. A change of address card dated October 11, 1963 listed the Paine’s Irving home as a forwarding address (Holmes Exhibit 3-A), although the card has a New Orleans postmark, and does not appear to be Oswald’s handwriting. 14 This skill set is not always evident, as Paine’s Warren Commission testimony has its share of hazy memory moments. Paine was evidently fully engaged during the Neely Street introduction, retaining precise recollection of details of the house, along with apparently complete recall of the initial conversation. 15 Everett Glover had met Lee and Marina, through George de Mohrenschildt, several times before this party. Stories about the party, particularly on the topic of Ruth Paine’s introduction to Marina Oswald, are fuzzy and contradictory. De Mohrenschildt, for example, would tell the Warren Commission that he could not observe Ruth Paine or the Oswalds because it was dark in the room to facilitate his slideshow. Everett Glover, on the other hand, would say that the de Mohrenschildt’s were only there for a few minutes, and he does not refer to a slideshow. Volkmar Schmidt would claim he arranged the event but could not attend, while others like de Mohrenschildt and Glover say he was there. 16 See Ruth Paine Orleans Parish Grand Jury testimony April 18, 1968, pp. 7-8, and de Mohrenschildt manuscript, “I Am A Patsy”, HSCA Volume XII, pp. 253- 258. 17 This is the “benign” version, which does not account for the Imperial Reflex camera’s use in New Orleans. Based solely on the official record, a far less benign version can also be constructed. Compare what happened with the Paines following the Warren Commission, to what happened to George de Mohrenschildt, who had made several statements, privately, to the effect that Oswald may have in fact been a patsy. The Paines walked away, while de Mohrenschildt complained, ahead of his alleged suicide, that he had been ruined. 18 Paul Barger was also the Irving Police representative to whom Ruth Paine personally delivered the Russian book which she wanted sent to Marina, and in which the so-called Walker note was discovered. FBI 62-109060 JFK HQ File, Section 150, p. 97. 19 Fensterwald’s analysis has been confirmed through release of more FBI documents and background over the years. Confidential Informants have been identified as both human and mechanical in the FBI documents. If a wiretap had been placed on the Paine residential phone line, it likely was the result of Marina Oswald’s presence, rather than specific interest in either of the Paines. 20 At the time of this conversation, one pm on November 22, the President’s death was known only to a few people at Parklands Hospital. 21 See also the James Hosty FBI report on Michael Paine December 30, 1963, CD 263, p. 7. This is the original filed report on the Paine interview of December 23, 1963. The interview is mostly concerned with Paine’s relationship with his father. The denial of stating others were responsible appears as a single sentence concluding the brief report. Jeff Carter is a filmmaker and audio technician based in Vancouver, Canada. Along with Len Osanic, he produced the web series 50 Reasons for 50 Years in 2013.